We are going to explore this other and additional possible source of human thinking and acting. Aside from the neurons and the brain, the non-human bacteria living in each persons’ body may have a meaningful effect on our thinking and doing. I’m not a scientist. I’m a retired lawyer, though throughout my career I’ve read and studied the latest developments in science. As a lawyer, I’m accustomed to looking at evidence which will prove or disprove a particular point. The evidence in this discussion is proven by science, and my descriptions below are accurate physically and scientifically. The next question is, what does this all mean? It doesn’t take a scientist to consider the possibilities. Let me take you on another trip of imagination you may find quite surprising. In 2014, the American Academy of Microbiology published a story saying recent research had arrived at an estimate of the total number of human cells each person has – approximately 37.2 trillion. Now compare the ratio of human cells to non-human inhabitants of the body. 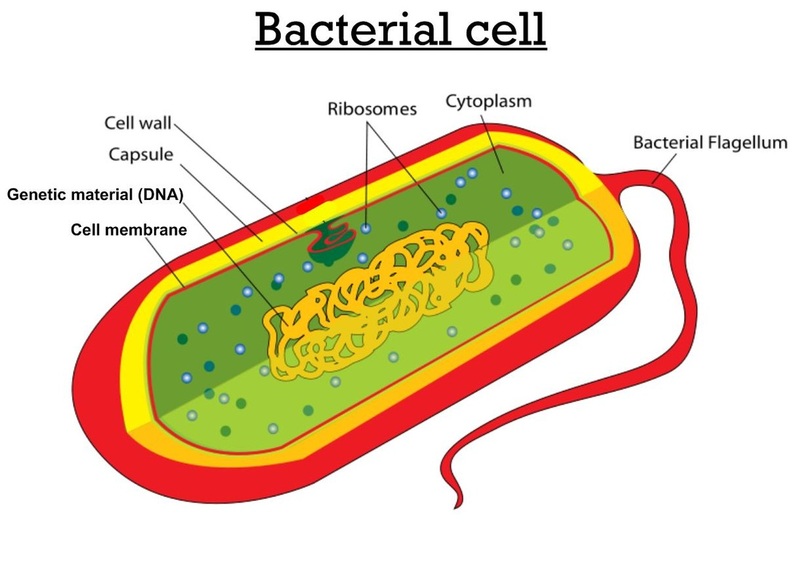 It is scientifically estimated that there are 100 trillion non-human bacterial cells inside or on each human body. Thus, the ratio of microbial-to-human cells, if the original estimate of 100 trillion bacterial cells is correct, is about 3:1. Each human body has three resident independent non-human living bacteria for every resident human cell. With regard to the neurons in the brain, normally thought to be the thinking part of the body, the ratio of neurons within each human brain to non-human bacteria within each human body is 1: 1,000. That is, there are 1,000 resident bacteria in the body for each individual neuron in each human brain. Each individual bacterium is a non-human living being residing in our oh-so-human body. Each such non-human creature is independent and normally does not physically connect with any other bacteria (except in certain circumstances not relevant here). Yet, like human neurons, these non-human creatures group together. As a group, what if these bacteria have “mental” faculties that are greater than those of a single bacterium alone? Individual human neurons in the brain communicate one to the other not directly but at a microscopic distance one from the other, and the product of their communications seems to sustain who we are and what we do as a human. The collective activity of all the neurons in each brain is generally considered by scientists to be all there is to human activity. And it has been scientifically proven (see other blog) that an individual neuron in a brain cannot conduct alone any sort of thinking activity. Yet what if this group of human neurons which comprises the brain actually only manages a part of what there is to human activity? What if there are other structural elements within the human body that contribute in a small or even a very large way to what we call humanity? If this idea is so, then we have one or more grouped non-human living bacterial entities inside each person, which operate so subtly that scientists have not yet discovered how to get to the deep level of “consciousness” where the bacterial groupings provide their part of humanity. Even if we are not “seeing” inside ourselves, it makes some sense to speculate that the universe, the one that scientists see in the sky and theorize about, may consist of a smudged organic living environment wherein our solar system can thrive. Such an external universe could be not so different than the environment of a country pond, which provides the conditions for fish and amoeba to thrive. This universe may be predominately organic in nature, even though generally accepted scientific theories claim that our universe is made up mostly of inanimate objects like rocks and clouds. I’m not aware of any body of science which proposes that the universe is mostly organic. Yet none of those things out there in the night sky past the solar system has ever been physically touched or measured. All the analysis has been done by the interpretation of the very small slivers of light that actually cross paths with earth in a vast universe, supposedly emanating from heavenly bodies. After being filtered through telescopes, the light is then filtered again by the optic nerves before it reaches the level of our consciousness. Then it is measured by earth-bound machines. Who knows what living bacterial consciousness is included in the images that reach the screen we read from inside our brain, which we call normal vision. Further, what other images may be aroused by the scientific facts in what we’ve been discussing? “I’m fascinated by the fact that we’re so interconnected with our environment, even at the microbial level.” According to Professor Charles Raison, from the site https://centerhealthyminds.org. it is scientifically accurate to say each person is constantly connected with our immediate environment by the presence of bacteria (and other things) on and in each individual human body. A living mass of bacteria in our body may be said to be moving in and out of each human body at will. It’s scientifically certain that there is no separation at all between the bacteria in our body and the bacterial entities outside our bodies in the daily environment; and that movement of these entities or individual bacteria in and out of our body at will has been scientifically established. Even the movement of bacteria from one human body to another could be considered a communication. This is an interconnection which has not really been explored. The speculation is that these bacteria form a constant and potent line of communication between our external environment and our internal state of being. It may be said that our very existence and health depend on the presence of certain things which bacteria (among other things) interact with in our external environment. In summary, it is true that non-human bacteria have a significant effect on each human body. This effect is independent of the brain and its neurons, and affects the whole body in some way or another. Use your imagination to examine the generally accepted scientific facts, and draw whatever conclusion you find most satisfactory. Bacteria were among the first life forms to appear on Earth. They’ve been around for at least millions of years, long before present-day human beings were evolved. At the present time there are approximately 5×10^30 bacteria on Earth, forming a biomass which exceeds that of all plants and animals. https://en.wikipedia.org/wiki/Bacteria There is even valid scientific evidence that bacteria may be mostly immortal; some of the same ones we see now may have actually been present a million years ago. One reader postulated that maybe the living non-human bacterial mass is annoyed that humans have developed to where they can interrupt the daily activity of these bacterial masses. Throughout human history the bacterial masses have tried to stop us by diseases and plagues. This strategy worked, until the 20th Century, to keep the human population small and manageable. One reason human populations have exploded is that we have developed weapons to kill some of these long-resident bacterial colonies. ← Want your Mind Blown? Science shows the Human Brain is not a single entity. It’s Billions of Individuals Who Don’t Touch Each Other.